Sheldon Tan smart casual Chelsea boot. Premium quality hand burnished analine leather upper featuring honeycomb elastic panel closure with strap and buckle. Wing tipped brogue detail and stag logo deboss to heel area. 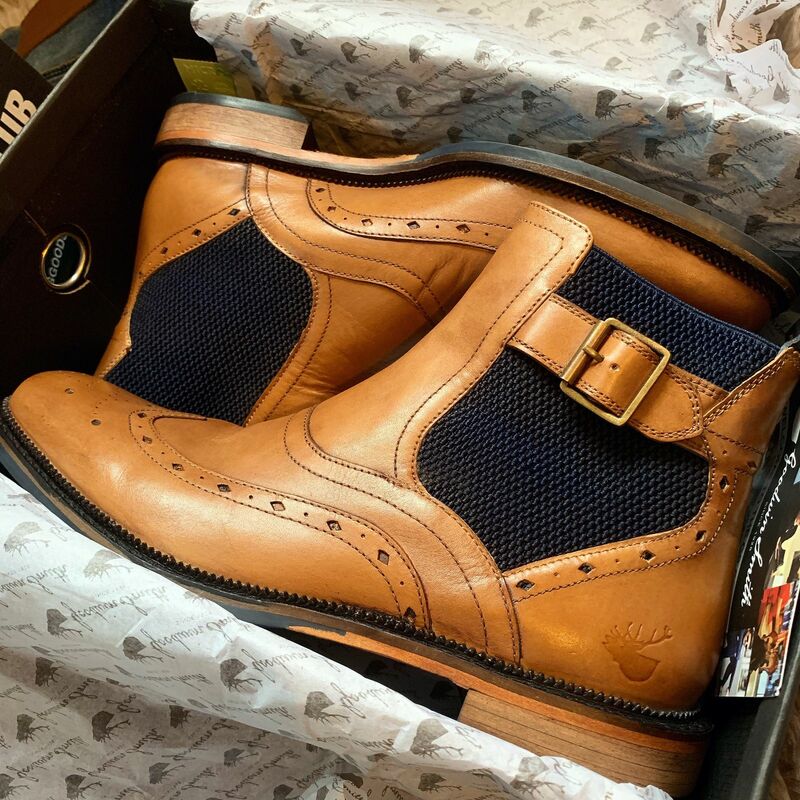 Stag logo printed canvas lining with leather collar lining and leather sock embossed in gold foil with full GS logos. Heavy duty TPR heel and forepart with octagon sole tread, leather waist area embossed with Goodwin Smith logo. 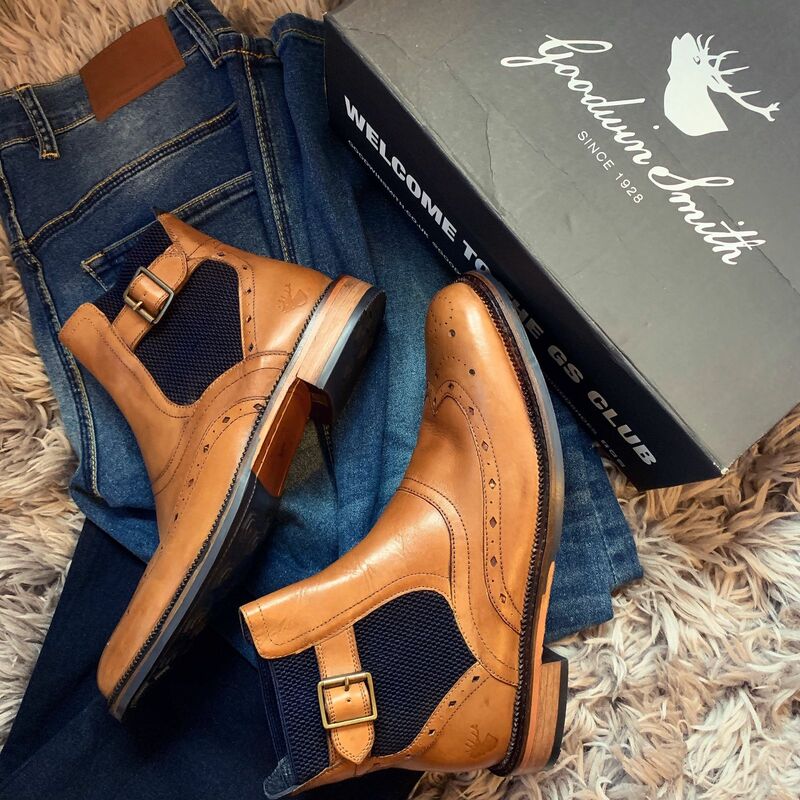 Far better than a pair of Chelsea Boots! Quality wise and style! Brilliant shoes! Can’t stop wearing them. I puchased these as a gift for my partner they came this morning and he loves them :) they are beautiful. Thankyou so much.